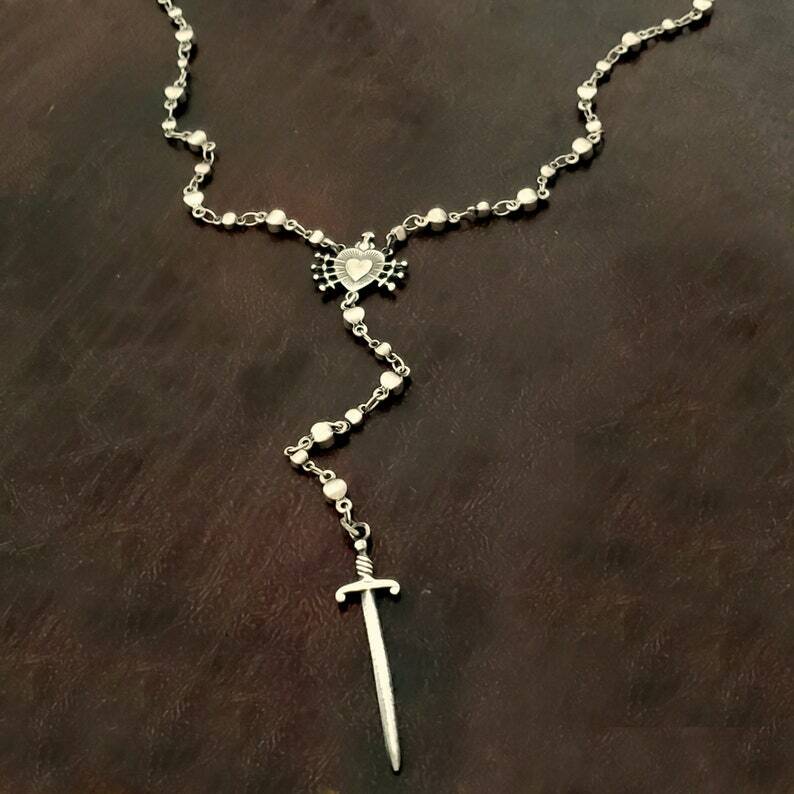 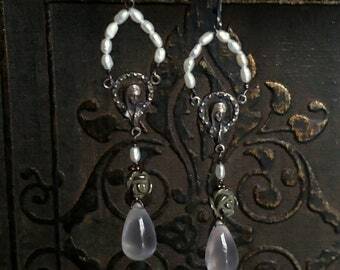 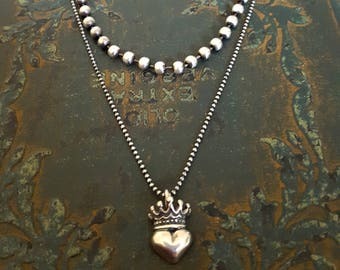 This antique metal bead chain is the perfect back drop for this gorgeous STERLING SILVER Sacred Heart & Sword Rosary Necklace. 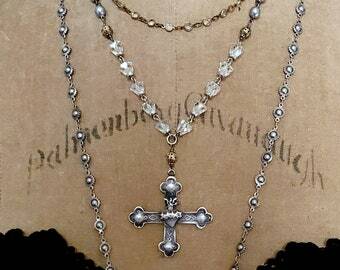 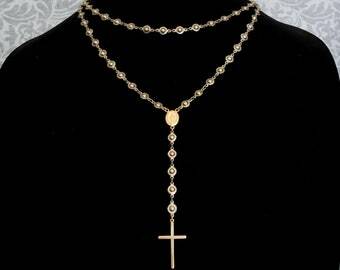 This modern rosary necklace is both fierce and elegant. 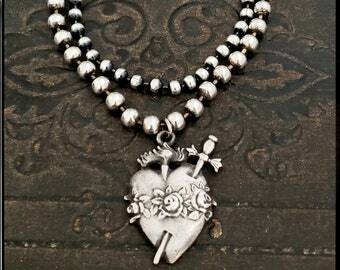 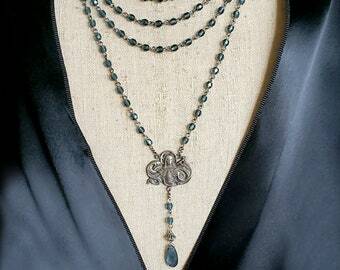 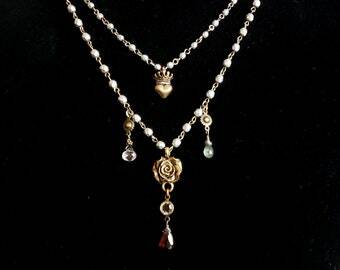 This necklace looks amazing worn with a graphic tee as well as a black lace dress or top. 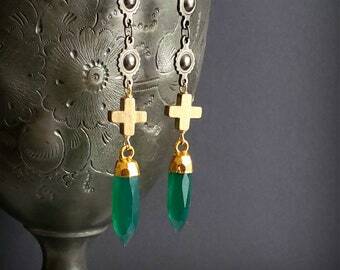 Perfect for dressing up or down! 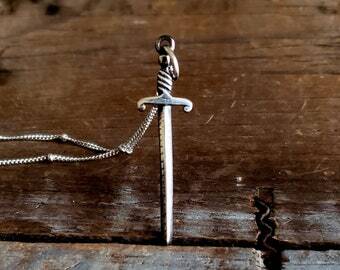 You will want to wear this necklace every chance you get.